Guanajuato is largely considered one of the most important logistic centers due to its excellent roads, railroads and its international airport. It has the most modern internal customs in Mexico and is becoming the fastest growing state for manufacturing in Mexico. Guanajuato is also known for their annual Cervantes International Festival, which brings many visitors to the city every October. 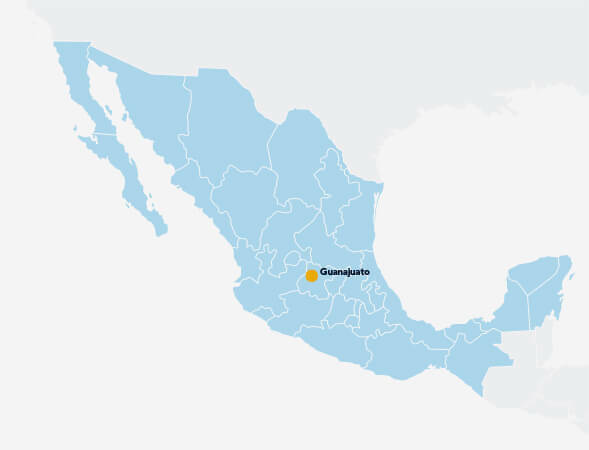 With access to 80 percent of the Mexican market, 70 percent of Mexico’s international trade and 70 percent of Mexico’s automotive industry, Guanajuato is a popular location for Mexican manufacturing.